A great percentage of pet parents of small breed dogs, and some large breed dogs as well, have traded in the traditional dog collar for a dog harness. Th ey come in a plethora of styles, materials, colors and designs. A well fitted harness can provide comfort, ease of use, safety and probably a more pleasurable walking experience for all involved. 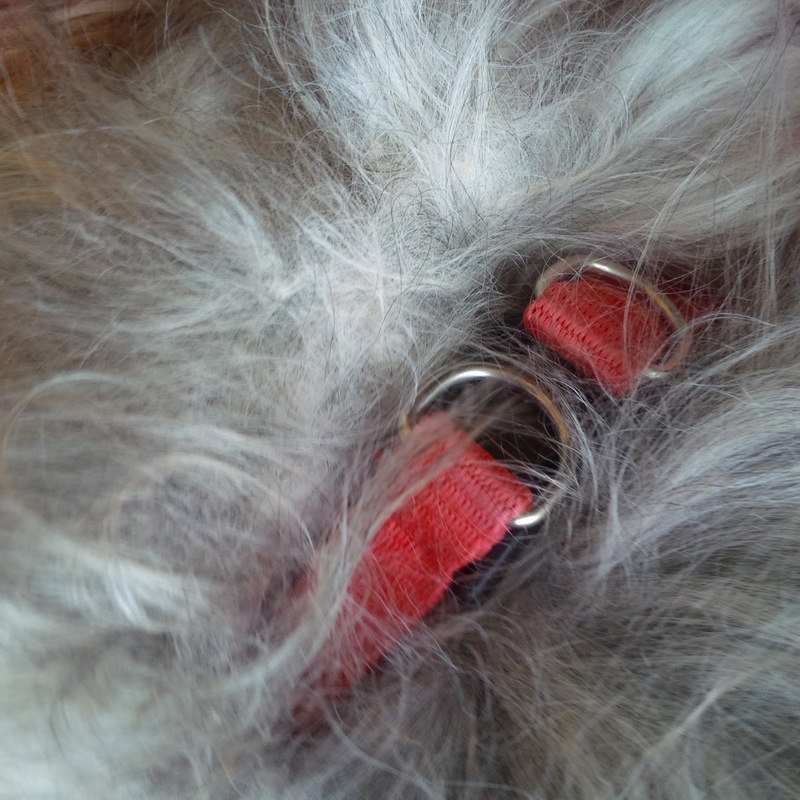 Your dogs ID tag and Rabies tag can be attached to the harness ring in the same manner as attaching them to a dog collar. However, when the harness shifts to the side, as they usually do when made of multiple straps, the tags may wind up hanging on the side of your dog. the traditional dog collar for a dog harness. They come in a plethora of styles, materials, colors and designs. A well fitted harness can provide comfort, ease of use, safety and probably a more pleasurable walking experience for all involved. great percentage of pet parents of small breed dogs, and some large breed dogs as well, have traded in the traditional dog collar for a dog harness. They come in a plethora of styles, materials, colors and designs. A well fitted harness can provide comfort, ease of use, safety and probably a more pleasurable walking experience for all involved. A great percentage of pet parents of small breed dogs, and some large breed dogs as well, have traded in the traditional dog collar for a dog harness. They come in a plethora of styles, materials, colors and designs. A well fitted harness can provide comfort, ease of use, safety and probably a more pleasurable walking experience for all involved. Though I would give “the dog harness” a thumbs up, my recommendation is to use a light weight, narrow and soft collar for the purpose of securing your dogs tags, in addition to a harness for walking. Why? Because even though a dog harness has many redeeming qualities, it needs to be removed when not in use. Unlike a dog collar, a harness can become irritating especially where your dog’s front legs and chest meet. Dogs with long hair or thick fur will become extremely matted under the harness if it is not taken off after walking, or at the end of the day, or at the very least, every few days so that you can brush or comb your dog’s hair before putting the harness back on. The harnesses that allows for ease of use are the ones designed to be stepped into, much like a bra, and clip across the dog’s back. Some Velcro first and then clip. 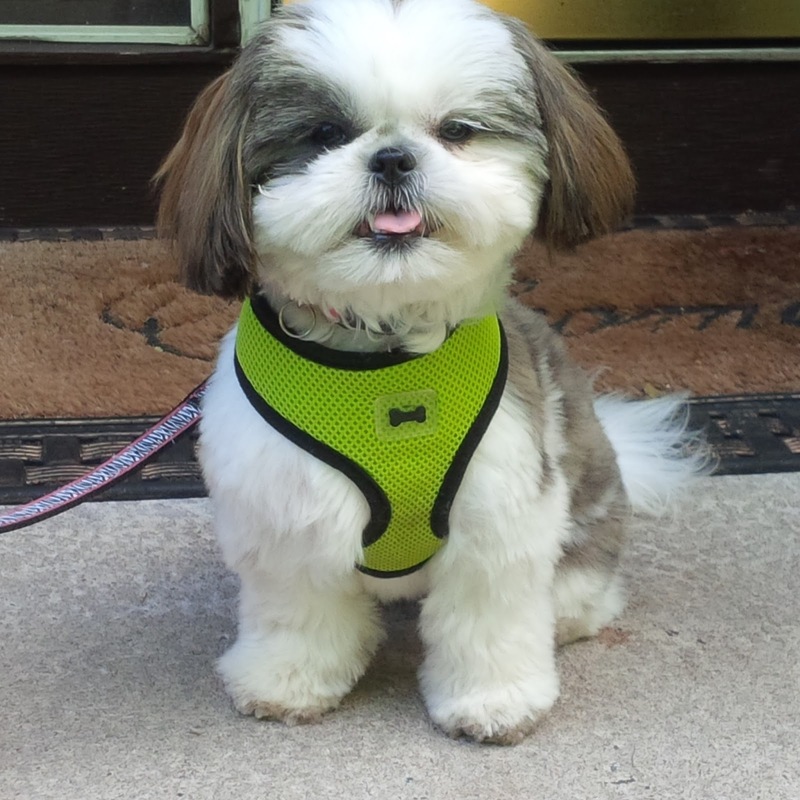 The quilted material harnesses are less irritating and less likely to mat your dog’s hair. Yorkie, Shih Tzu, Maltese, Havanese and similar breeds that are small and long coated seem to all be candidates for matted hair due to harnesses that are not periodically removed. Miss Lucee is always perfectly groomed and her harness is taken off after every walk. She also wears a small light-weight collar that holds her ID tags.